The Concerto Grosso is a popular Baroque form, in which two instrumental groups complete against each other: a small group of soloists and the tutti of the orchestral group. It is the forerunner of the solo concerto form, which features only one solo instrument. This set presents the complete Concerti Grossi by Pietro Antonio Locatelli, modelled on the popular concerti grossi of his teacher Corelli. The writing, as might be expected from Locatelli the devil violinist, is highly virtuosic and brilliant, inventive in harmony and counterpoint, written to impress and entertain. 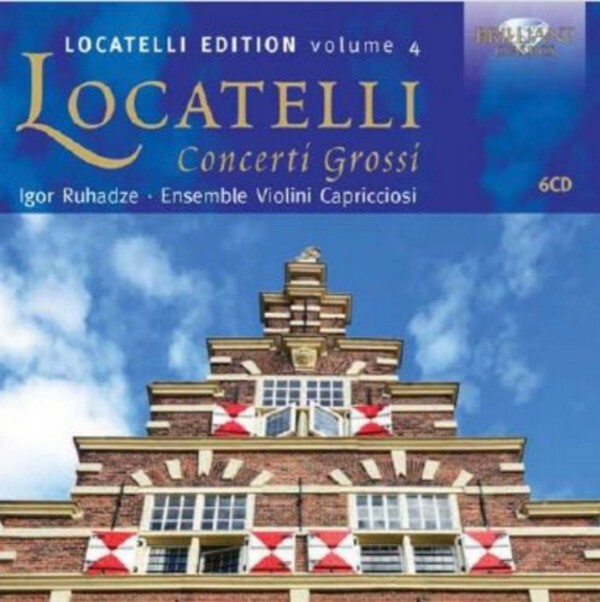 This set is part of the Locatelli Edition, the complete works by Locatelli, as performed by Igor Ruhadze and his early music band Violini Capricciosi, playing with great gusto, zest and dazzling virtuosity.